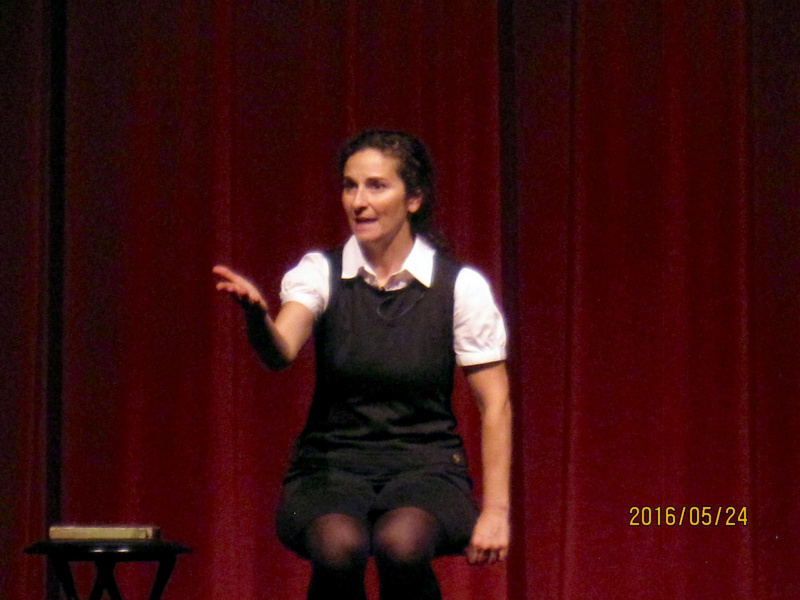 Actress, Gabrielle Miller presented an interactive presentation called, "Through the Eyes of a Friend" on May 24, 2016 at The Performing Arts Center at Cumberland County College. 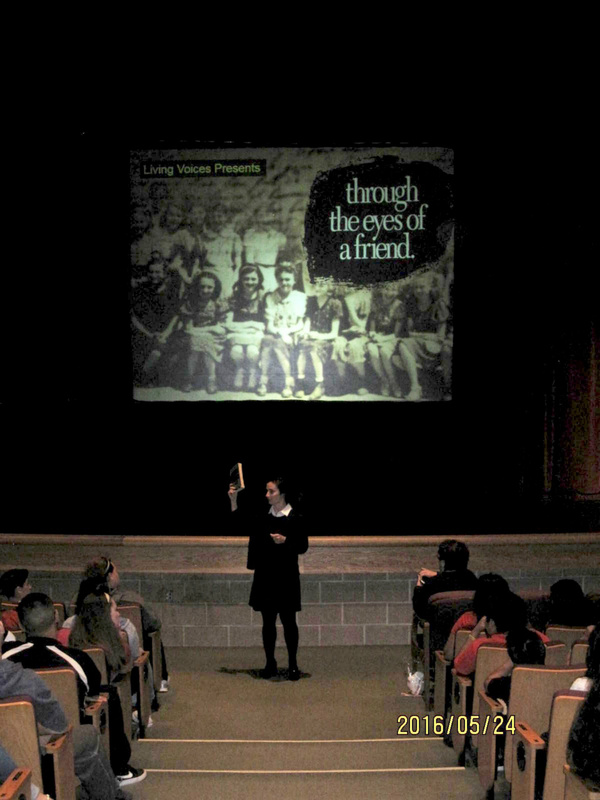 The play is the story of the young Anne Frank, her story through her writings as narrated by her friend, Sarah Weiss. 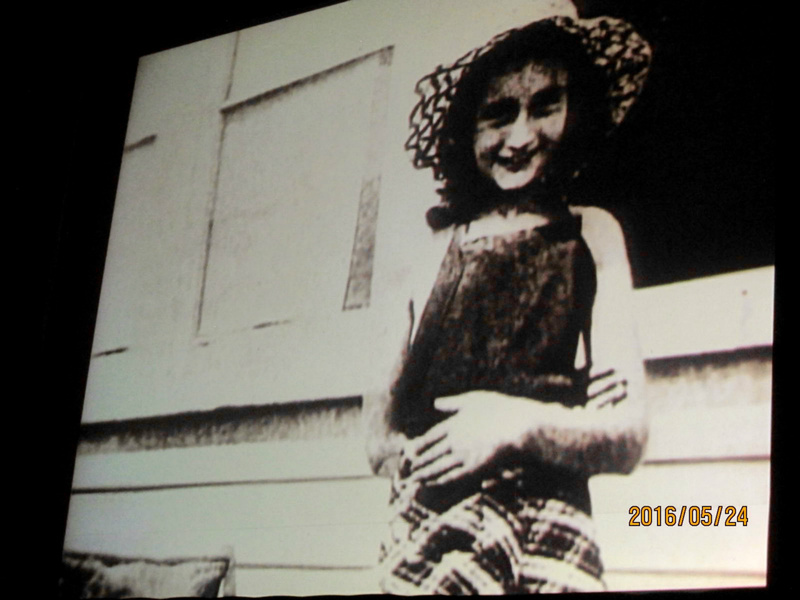 Miller enacts Weiss with many photographs authorized by the Anne Frank Institute in the slides. 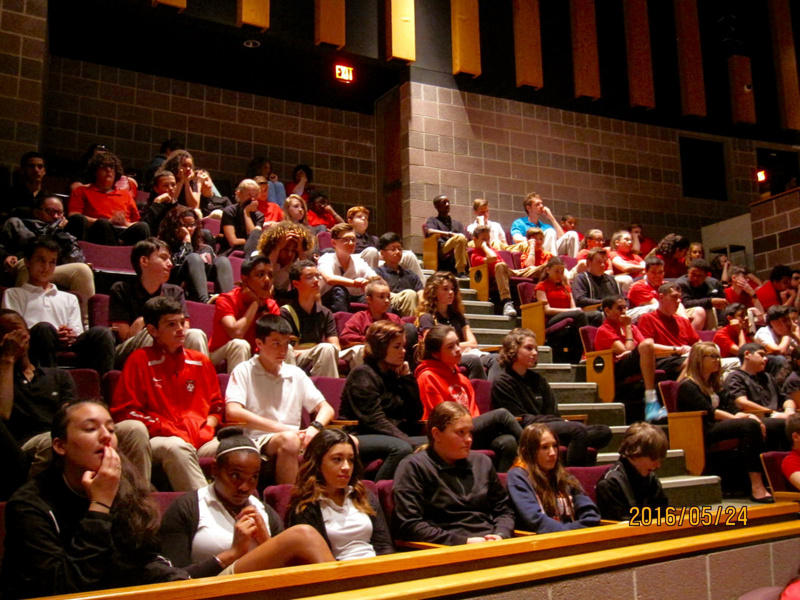 The students participated in a Q&A at the end of the performance. 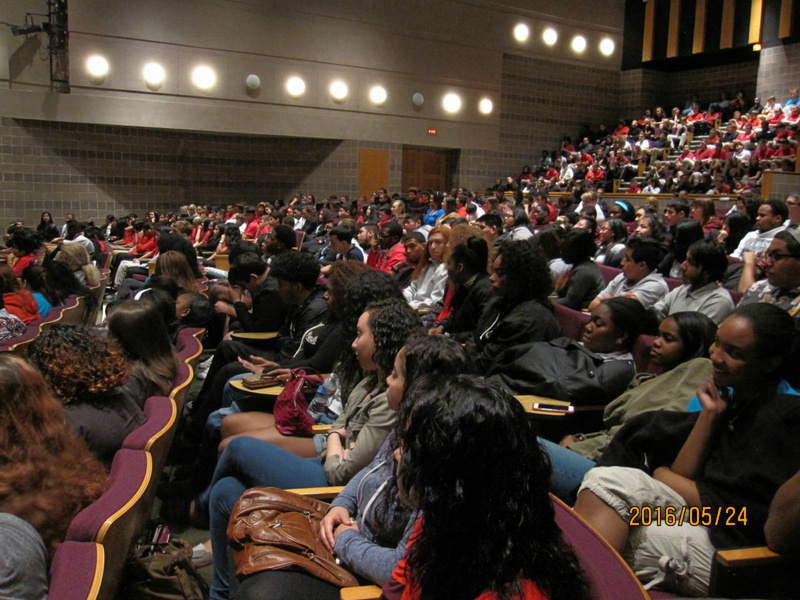 High schools and middle schools attended in two presentations with a total of 650 students. 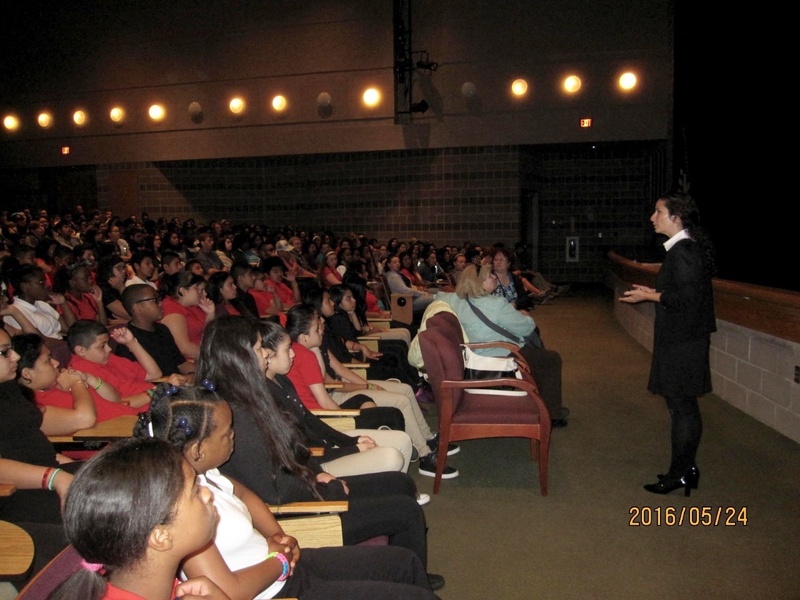 The event was sponsored by The Vineland Public School District in partnership with The South Jersey Coalition and The Jewish Federation of Cumberland, Gloucester and Salem Counties.